In a bowl beat together eggs, milk, dill, salt and a dash of pepper (or substitute the salt and pepper with the powdered ranch butter) over medium heat; pour in egg mixture. Cook, without stirring, till mixture begins to set on the bottom and around the edge. 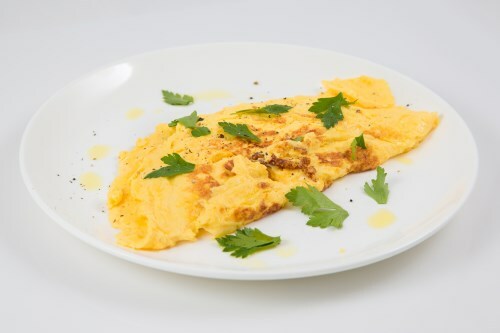 Using a large spoon or spatula, lift and fold partially cooked eggs so uncooked dressing mix. In a large skillet melt the portion flows underneath. Continue cooking over medium heat for 2 to 3 minutes or till eggs are cooked throughout but are still glossy and moist. Remove from heat immediately and serve.